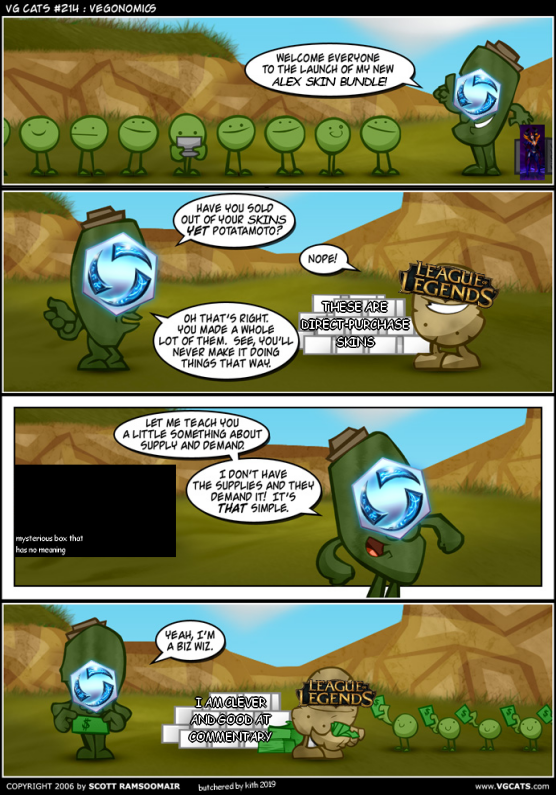 Regardless of how fun it is, HOTS needs to make money to thrive. The bad news is that it hasn’t been making as much money as we (both the community and Blizzard) would’ve liked, so unfortunately things need to change. The good news is I’m here to tell you about a guaranteed three-step program that will make the changes that HOTS needs to not only inject a wave of new blood into the community, but also to make the game itself more profitable. 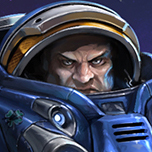 HOTS’s roster is comprised of Blizzard icons from a variety of universes, allowing players to use their favorite heroes or villains to duke it out against similar characters. 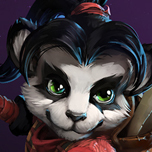 Many different playstyles, several of which are radical departures from the standard MOBA mindset, are featured. Free Rotation only offers a fraction of the whole and Try Mode is a poor indicator of how a character performs with a full team in a normal setting. Obtaining a character to play in a live match involves: getting lucky with the free rotation, a huge grind (Gold), vanishingly rare drops (Chests), a Cost Ineffective Direct Real Money Purchase (Gems), or a Limited Cost Effective Real Money Purchase (Hero Bundle, Gem Sale). Make Unowned Characters available to play in all modes, but unable to gain Experience from matches (and therefore cannot generate levels or Chests) or access Collection items (and therefore cannot be customized, forcing them to use the default Skin, Mount, Announcer, Spray, ect). Matches completed with Unowned Characters would still count for Quests and earn Gold from completed matches. Change the Free Rotation from Temporary Availability to Temporary Ownership, allowing players to build progression on characters that they have not obtained and play around with their Collection items for a limited time. One of the biggest reasons that people play HOTS is to snap on the fandom goggles and play as a specific character. However, when it’s a pain to even try those characters in real games against opponent teams, the feature falls flat. None of the options to obtain characters for real gameplay are attractive or convenient except MAYBE the Hero Bundle/Gem Sale (and even then new players are unlikely to sink money on a game/character that they’re not even sure they like). Opening up the roster in this manner would expand the the game on an unprecedented level for all players, exponentially increasing the size of the community via improved newbie retention. Additionally, it will encourage new and old players alike to try new things, leading them to shell out for the things that they enjoy. Also, as an extra side benefit, it would immediately silence “pay 2 win” complaints because players would no longer have to purchase characters to play them. Gold allows players to obtain Heroes without Real Money. Shards allow players to obtain Customization Items without Real Money. Experience earns Chests, which allow players to obtain Customization Items without Real Money. Gems allow players to obtain Heroes and other limited-time items if they don’t want to spend the time grinding up Gold, Shards, or Chests. Gems can be obtained with Real Money or a whole bunch of Experience. Boosts can be purchased with Gems to increase a player’s Gold and Experience throughput, earning them content in a shorter amount of time. Events feature additional special Event Items that are available for a limited time. Ranked Seasons feature special Ranked Reward Mounts that can be earned by participating in Ranked play. Many heroes cost 10,000 Gold and that takes a while to grind up (even when Boosted). Gems are not versatile enough and can only buy a handful of things at designated times. Solved! Additionally, Gem prices are excessively high for how narrow their application is. Solved! For 9/10ths of a year, all Event Items do is take up disk space for the majority of the player population because they are uncommonly used and cannot be obtained for use outside of their given Event. Past Ranked Reward Mounts cannot be obtained via any method. Gem-only skins and mounts must be purchased in Bundles, forcing players who only want one item to buy multiple. Solved! Allow Gems to purchase any individual item at any time, even if it’s introduced in a Bundle. Adjust Gem prices to be based on 50% of an item’s Shard value. Close enough! Make Event Items available at all times of the year, obtainable via Gems outside of the Event and obtainable via normal methods (Chests/Shards) during their associated Event. Allow past Ranked Reward Mounts to be obtained via Gems or, if the Ranked Reward Mount is more than two years old, obtainable via normal methods (Chests/Shards). HOTS’s financial woes are driven by two major factors, and the one we’re going to talk about first is the weakness of Gems (and we’ll get to the second factor later). The player’s ability to obtain everything they could ever want with the appropriate time investment (via Experience, Gold, and Shards) means that if a monetary shortcut is to exist, it has to be convenient. Unfortunately, Gems are not convenient. Skins and Mounts must be Featured before they can be purchased with Gems, drastically undercutting the customer’s ability to give Blizzard money whenever they want to. The result is players sitting on piles of Gems, hoping to see something Featured that they actually care about enough to spend money on. In the meantime, they earn Chests through normal gameplay, running the risk of obtaining the item they want outright or gathering enough Shards to purchase it without spending their Gems. The fix is simple: encourage people to spend money by allowing them to spend their money. There are at least eight items off of the top of my head that I would buy for Gems if I just could, and I know I’m not alone in that sentiment (especially where Event items and past Ranked Reward Mounts are concerned). I’ve always been frustrated by the decision to put all of HOTS’s eggs into the Loot Box Microtransaction Basket, and the recent cuts to HOTS’s budget are a shining example of how it’s not working out how it should be. Good news, everyone: Gems can now buy any individual item at any time (plus bundles) and Chests and Shards can be obtained via Gold, overall massively increasing the users’s ability to get what they want. Unfortunately, limited-availability items (especially Ranked Rewards) are still very difficult to come by, so here’s to hoping that Blizzard grants greater access to those as well. HOTS 2.0 separated variable Skins and Mounts into individual items, giving the Collection the potential to be expanded easily with many low-effort Variants for Skins and Mounts to give players a much wider variety of customizations to obtain. New Skins were released at more or less the same rate and there are very few new Skin Variants that were made from existing Skins. Add enough low-effort Variants for existing Skins and Mounts to bring every Skin and Mount up to at least five Variants each. Commit to a content pipeline that adds at least one Variant to each existing Skin and Mount per year. The second part of HOTS’s financial woes comes from a lack of substantial customizations to obtain. 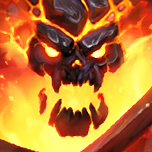 HOTS 2.0 was implemented with the promise that we’d be getting a ton of stuff added to existing Heroes and Mounts, but that just didn’t happen - it mostly ensured that newer heroes would get five Variants instead of the usual three and added a bunch of non-Skin, non-Mount stuff that goes mostly unused. 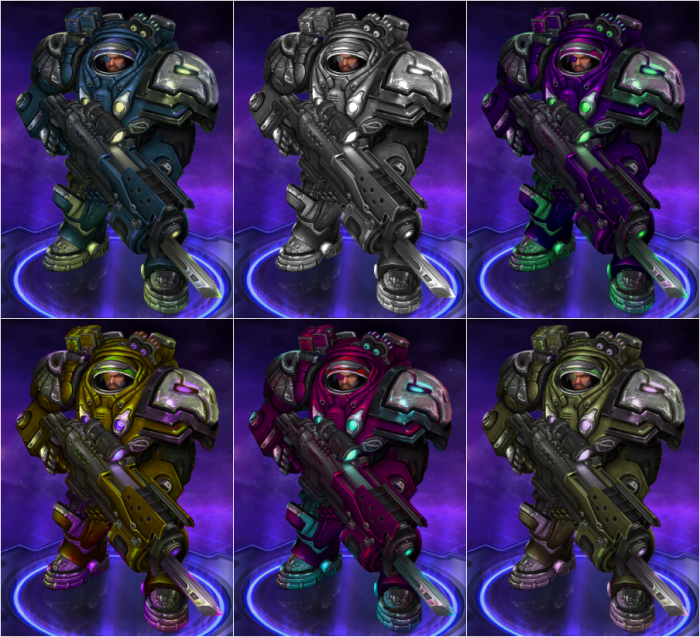 HOTS would benefit from a flood of low-effort Hue-Shift or Recolor Variants like these for Skins and Mounts because it would give players more opportunities to customize and personalize their loadout. Skin/Mount synergy is probably the #1 driving factor behind most players’ cosmetic choices, so the more options we have, the better. As an aside, a reminder that I’'m saying “low-effort” and not “low-quality” - I’m not suggesting that HOTS should start cranking out stuff that’s deliberately bad, just working from existing resources rather than starting from scratch to make more content for less capital. I feel that HOTS has always been the king of “almost there”. It’s had so many good ideas, so many good design decisions, so many good efforts - but it always falls short of the competition, and its financial achievement has been no different. Here is a comic that I professionally edited to serve as a hamfisted visual example (with apologies to Scott Ramsoomair) The comic’s visual example no longer applies because the particular issue the comic was referencing has been amended. However, the apologies to Mr. Ramsoomair are still valid and heartfelt. The moral of the story is that HOTS doesn’t offer enough to the player to hook them and keep them hooked when all it has to do is make things more available. EDIT: Granted, the changes to Gems/Gold/Shards/Chests have improved the situation significantly. However, for a game that’s focused on being able to play whoever you like from major Blizzard icons, the roster is still dauntingly limited for new players. If it can manage to change that, then it’ll succeed in the long-term - just like its competitors have. There’s absolutely nothing in the world that can make HotS grow. The problem is with the design of the game, not really anything much Blizzard can do about that now. Until they fix the report system people won’t play that much. It’s cute how the young crowd always misses the point by acting like a perfect consumer who only cares about stuff… Pretty sure not so long ago games had little to no skins, banners, sprays and all the other fluff that doesn’t matter. What matters is playability. When you force a crappy matchmaker onto people and then ban them when they get frustrated no amount of gems will ever save you. People will come and go, people will be replaced, and depends on how much they like the game. Here we have a well thought out and admirable attempt to better the game. There are some other things that I think could go a long way to improving the game as well but I wish the forums were filled with more posts like this. A quality post with user ideas has infinitely more value than trolling, personal attacks, and defamation attempts. Cheers to OP for the high effort post! Umm. You all are missing a point. The reason why we cant get more players is due to MobA genre stagnating. There is no players to get since no new players looks for a moba.They look for Royale,Warframe or great singleplayer games(there was a insane amount of great games this year). All mobas are loosing players. All of em. So Acti has seen that this genre cant grow unless there is a massive commercial investment(prb in bilions of $) that they are not confident will pay off(only idiots invest in a failing business).Mobile games still grow so they switch to that. Most ppl who leave dota and lol do not look to play a second moba. They had their fill and wont just move from the game they had invested 1k h of playtime in. So we need to find new players in a genre that barely gets any new players. When you look at it like that its kinda ez to figure out why they are giving up. At least smite has console market to help em.We compete with Dota and LoL for new player. And even before they gave up, those 2 looked more promising due to massive population. Lol, everyone is trying so hard to salvage this game while the company that owns it plans for it’s demise. Time to face the music, folks. The game is officially done. There is no redemption. You should stop wasting your time trying to save a game that doesn’t want to be saved. League is still gaining players, and growing like mad. Only HotS has been crap from the start, and Blizzard has finally gotten tired of throwing money into a losing project and thus decided to cut back on it. Finally a high quality post. If they do want to save this game, they should really start by fixing long-time existing bugs (major and minor ones) like that ready queue button bug and improve recon system. The first thing it needs to do is to ban all the feeders and asshats throwing games. Like that one video got LoL more players then any other.Its given LoL quite a lot of spotlight.And it cost a LOT to make. Way more then HotS can pay(well blizz can pay but the chance for paying of is nearly zero).+ its a gamble if it will explode like that. DotA lost a lot of players.Here is the proof. Just look at “all”. Lost over 1/3 of players over 2016-2018 period.From 1.2 mil to 0.8 mil. Smite lost em as well but since its only moba on console it will live.Got proof on that as well but ill show em only if someone is interested. So the only game that maybe got players got em after investing a MASSIVE amount of money for advertisement.Well guess what. When you aint at the top like Fortnite or LoL that is rly hard to do and not bankrupt. The platform that it’s on. Other successful Moba’s were 2 things… F2P and on steam. They got a lot of casual people that really came for one of the many other games to give them a try. Battlenet has people that play a few select games, and the people that play them for the most part are invested in those games heavily. Many do not want to make a switch from what they came for. Reason number 2, Steam strait up has an easier means of payment than battlenet. I could go out and get a steam gift card from Best buy with cash. Battlenet… set up your paypal? creditcard? Assuming you are an adult and have those. I know my parents would not have given me that for an online game when I was young, and honestly now that I am an adult. I’m also hesitant of using credit-cards for stuff like online gaming. Reason #3. The social aspect. I was dragged to give this game a try by friends that have since left a long time ago. People since (including myself) seem not as efficient at dragging their friends into playing the game with them. They expect Blizz to give them people to play with, and honestly complain a lot more when they don’t get along. These ideas actually can work. Most online games are on steam as well as having their own launcher. Warframe is one such game. It has 2 versions for their own launcher and steam(same game tho,no difference). But will it help the game tho.Our game is in the declining market.Will it give us a boost. Also social aspect does not matter in this case. In WF you cant communicate no matter the platform. Also steam takes a part of game profit so its not as good as it looks.So the game must redirect you to blizz site or battle net again for every purchase to work around that. Honestly this can get us more players just by getting in seach bars on steam. After all steam has a lot of players and its easy to just try the game. So if some who try it stay it will at least pay off. Not sure how hard is this game to put on steam tho. It prb needs some work. Not sure how much tho.Still problems but at least has a chance to work. After all mobas need publicity not these moronic changes that aint gonna get us any players if ppl dont even know game exists. Its marketing that gets new players not changes.And this at least is marketing. It’s nice to hope for things but the writing is on the wall. HoTs won’t ever grow. HoTS has an active user problem. Increased conversions on monetizing the playerbase would be nice but if the playerbase is shrinking then high conversions aren’t that significant. The HoTS team failed to see what was needed for the game to grow. The marketing department did a good job but the design team didn’t.